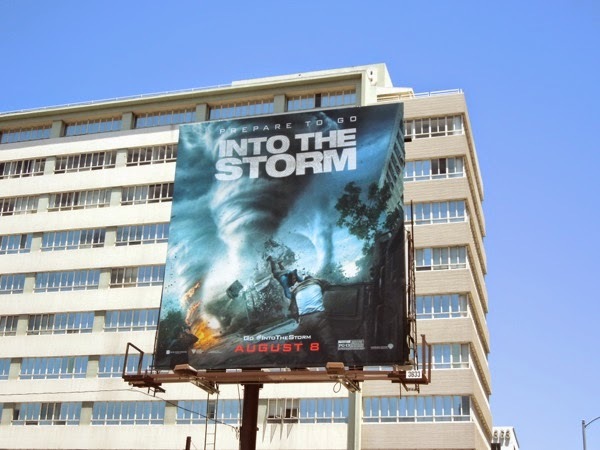 Before we start can we address the obvious elephant (or twister) in the room, but hasn't this movie already been made, and 18 years ago at that. 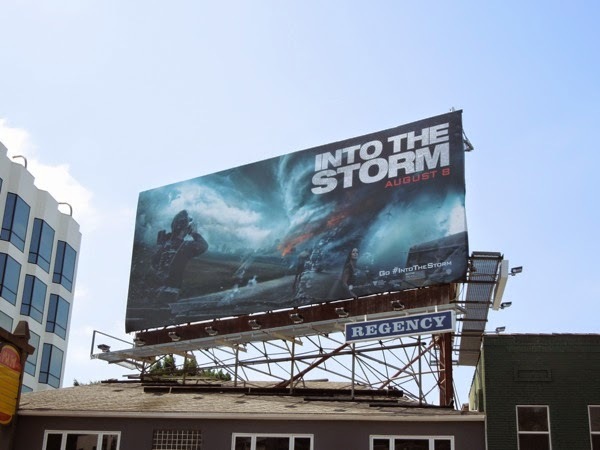 Into the Storm is that latest disaster movie to pit humans against Mother Nature and from the looks of these billboards, she's mighty upset. 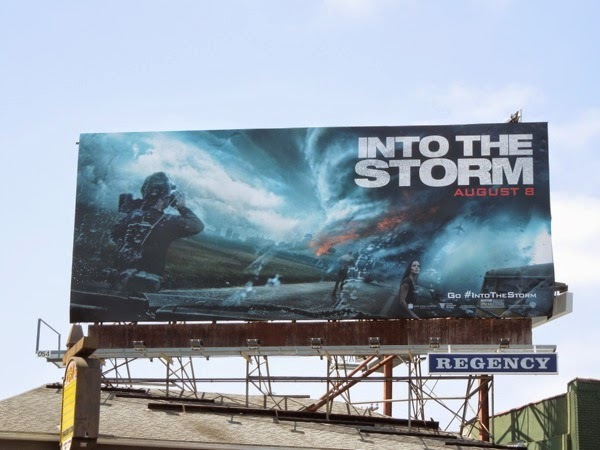 Whereas 1996's Twister focused on one singular deadly tornado at a time, it looks like this film will see an onslaught of multiple tornadoes (with added fire for extra peril) to vex the cast which includes The Walking Dead's Sarah Wayne Callies, The Hobbit's Richard Armitage and Friday Night Lights Jeremy Sumpter. 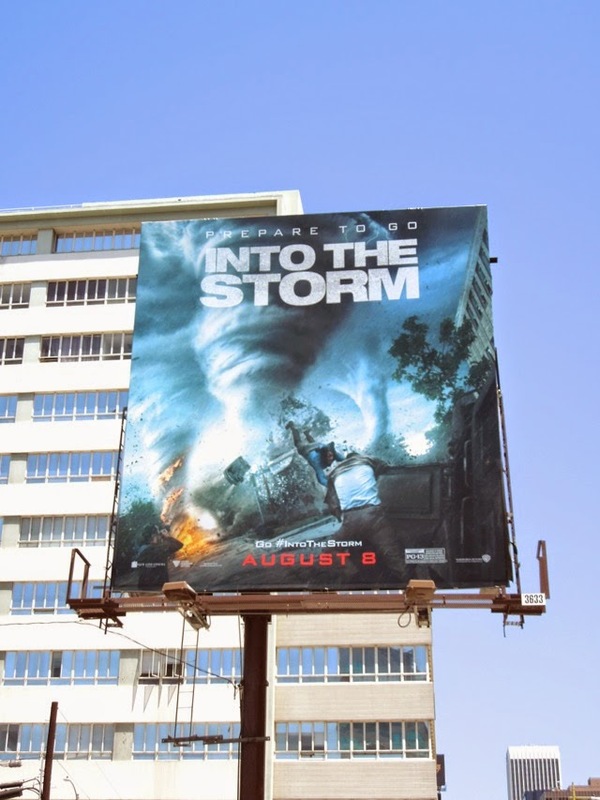 The stormy square billboard version was snapped along Wilshire Boulevard on July 10, whilst the landscape movie billboard was spotted along Sunset Boulevard in West Hollywood on July 15, 2014. 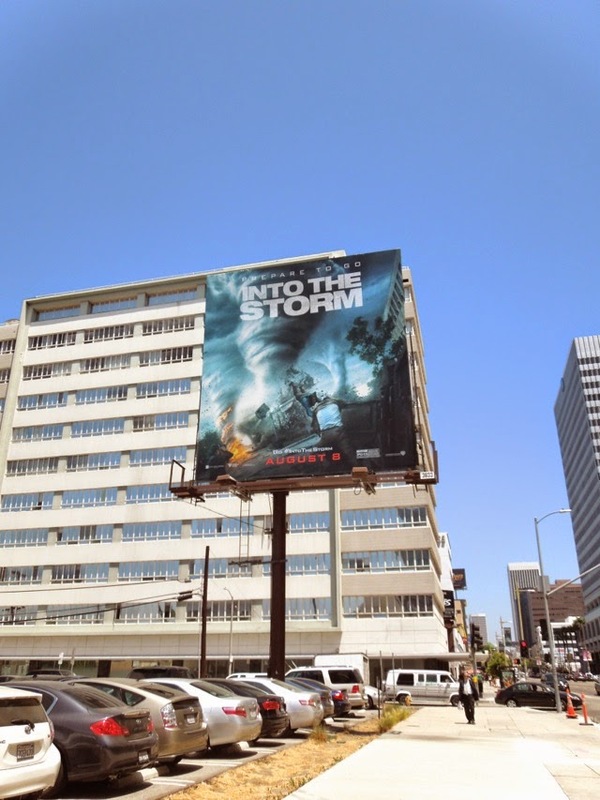 Prepare to go into the storm again my friends (let's just hope we're chasing the same story this time around).